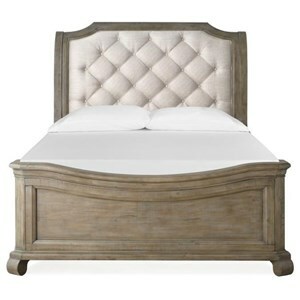 Bring cottage charm to your bedroom with this upholstered bed. 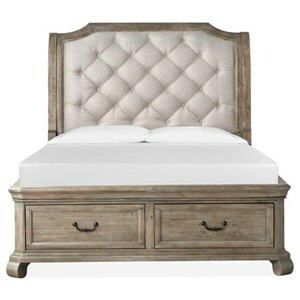 Elegant detailing throughout, this bed has nail head trimming, Bluff finish, Coconut Metal fabric upholstery on the headboard and footboard, and beautiful molding. 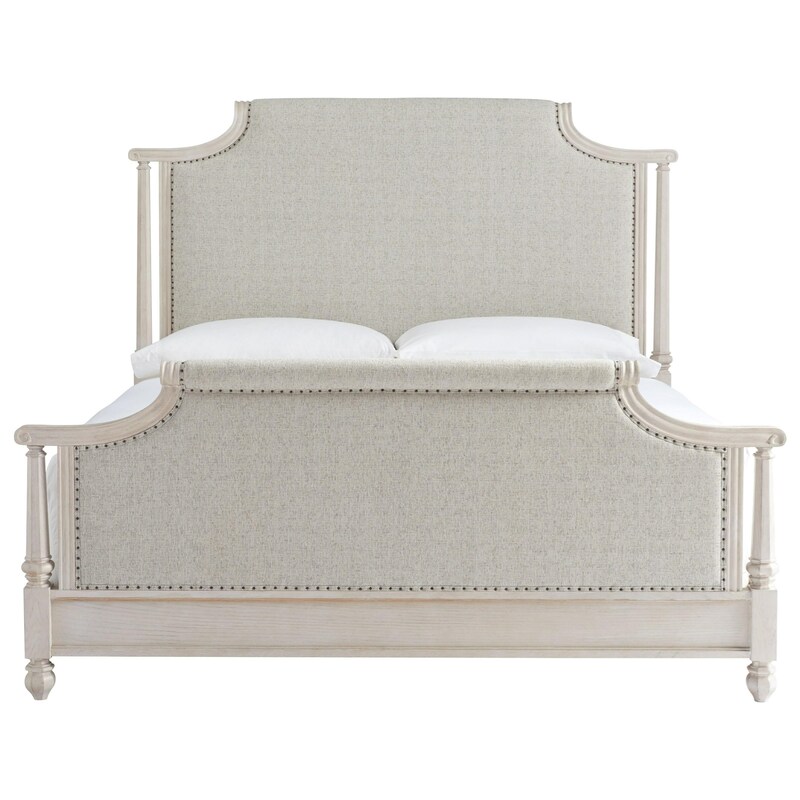 The Bungalow Veranda Upholstered King Bed with Nail Head Trim by Paula Deen by Universal at Reeds Furniture in the Los Angeles, Thousand Oaks, Simi Valley, Agoura Hills, Woodland Hills, California area. Product availability may vary. Contact us for the most current availability on this product. 795260 Veranda Bed Headboard 66 1 0" 0" 0"
79526R Veranda Bed Rails 66 1 0" 0" 0"
79526F Veranda Bed Footboard 66 1 0" 0" 0"